RMIT’s recent research projects called ‘Fielding’ involved multiple faculties across the University working together to explore the role that sound plays in the greening of an urban environment and how this impacts the well-being of people, animals and plants in urban spaces – particularly in cities. 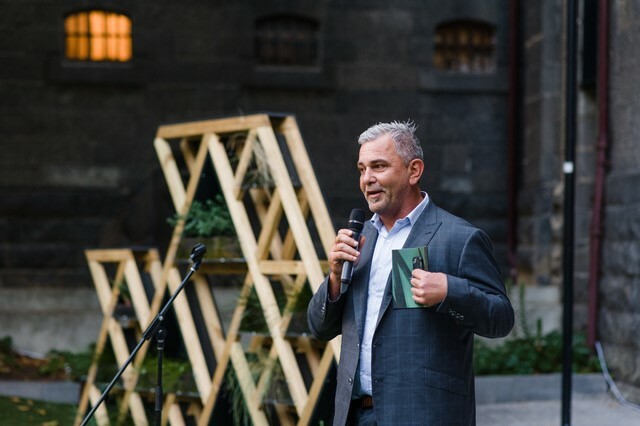 This unique and creative interdisciplinary project brought together the School of Landscape Architecture and Design and the College of Design and Social Context, to discover how sound and urban greening work together when designing, developing and planning future cities. The project required students from the Landscape Architecture and Design faculty to design a public installation structure of this research that demonstrates both creative sound practices and core landscape design principles, to reveal the complex role that audio plays in biodiversity. As industry experts, Programmed was invited to get involved during multiple stages of this research project. Tony Murphy (State Grounds Manager, VIC) and Stuart Barker (Regional Manager, VIC) were one of the critiques for the student’s final studio presentation prior to the best design being selected. Tony and Stuart played a crucial role in driving this project to the next stage as they both provided students with pragmatic advice on how the proposed concepts could actually be realised. Their mentoring, feedback and practical tips on material types, construction technologies and design considerations enabled students to re-evaluate and refine their designs, which in fact assisted the process of shortlisting and selecting the winning design. 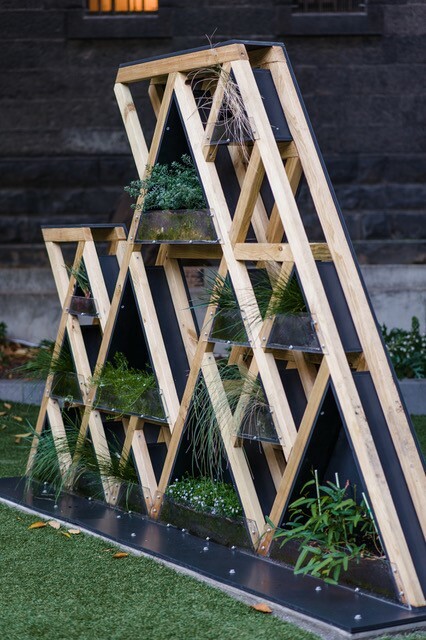 The chosen design was awarded by proceeding for real implementation in the Sunken Garden at the back of the Alumni Courtyard at RMIT City Campus. – Stuart Barker, Regional Manager, PPS. 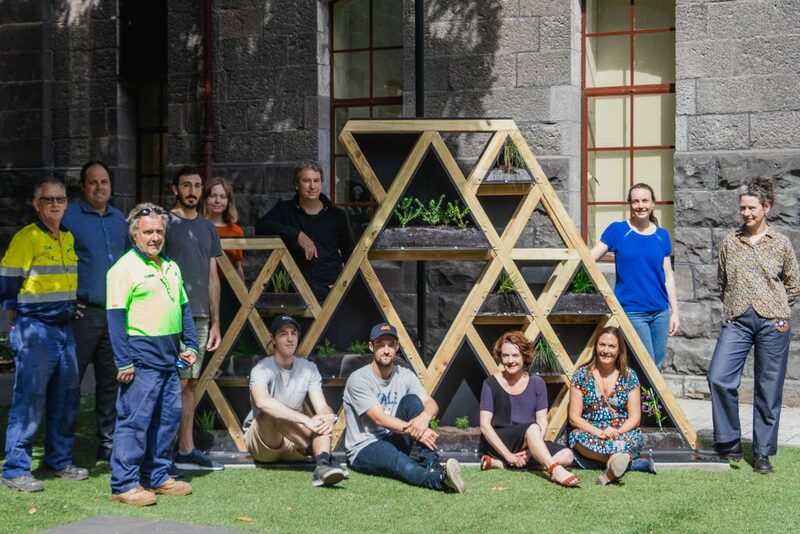 Furthermore, Programmed’s expertise in this industry continued as Yves Berard and Rob Keillor from our grounds team at RMIT also worked closely with the winning team in order to bring their design into reality. The dynamic structure of the installation is series of interconnected triangles, designed to be adaptable, mobile and scalable for urban environments. This temporary installation is due to stand from Spring 2018 and Summer 2019. During that time, scientists and artists will be observing the space and those who use it – insects, animals and humans – to discover the crucial and complex role that sound play in the landscape.